In June this year, sparing epidemiologists in the Liberec region in case of tick-borne encephalitis disease, when sick person was not aware of the tick bite. As part of the epidemiological investigation revealed that this person has consumed heat-treated goat milk. Subsequent investigation revealed two other diseases with epidemiological link between 18 consumers of milk from the same source. SVA during the summer to ensure a targeted investigation of milk in regions with an increased incidence of tick-borne encephalitis in humans. Investigation of milk from cows, sheep and goats were supplemented investigating blood of sheep and goats, which was based on antibodies in the blood indicate whether the animals with tick-borne encephalitis virus has been met, although the virus in milk alone may not detect. As part of the investigation itself was collected 238 milk samples from 215 farms. 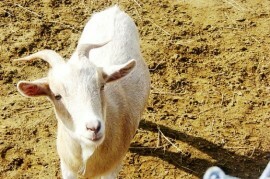 Only in one case showed the presence of virus in goat milk in the district. From a total of 613 blood samples from 59 farms antibodies were detected in 45 animals on 14 farms within all over the country, representing 23% of the examined economy. It follows that almost a quarter of the investigated herds moving, or moving, in the natural focus of tick-borne encephalitis. The consumption of heat-treated milk and its products alimentárnímu reliably prevent the transmission of disease. Although the Czech Republic is the contagion only about 1% of cases, the risk can not be underestimated. Disease prevention of tick-borne encephalitis vaccination is then inactivated vaccine. Tick-borne encephalitis is a disease behaved virus encephalitis transmission occurs by sucking blood of infected ticks or heat by drinking untreated milk of infected animals. The disease is carried out under different clinical picture: from asymptomatic infection through mild forms to life-threatening disease in which there is a failure of important centers in the medulla. Tick-borne encephalitis is a typical natural foci of infection, which in a certain town there originator-virus, tick-carrier and reservoir animal. The Czech Republic is registered to third 10th 2014 a total of 289 cases of tick-borne encephalitis (2.75 / 100 000 inhabitants). Most patients in both absolute and relative records the South region (40 cases; 4.19 / 100 000 inhabitants).